Major retailers and retail specialists warn that merchants unprepared for new payment technologies may fall behind this holiday shopping season, as recent changes to credit cards could slow down the checkout process for consumers. 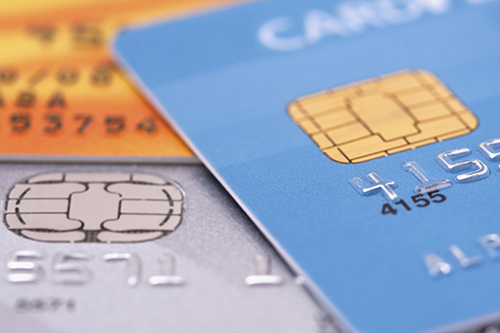 The more secure chip-based EMV cards are the payment card industry's attempt to tackle credit card fraud, benefiting merchants and consumers alike. The change could slow people down at the register, however, since the quick swipe of magnetic strip cards is replaced by the insert-and-hold reading method. According to The Detroit News, retailers report issues with customers making mistakes at the checkout terminal because they are not used to the new procedures yet, as shoppers are likely to slide cards that need to be inserted or pull them out of machines before they are read. While typically only adding a few seconds to the process, in a long line, those seconds can add up to extended wait times – wait time that retail consult Neil Stern, senior partner at McMillianDoolittle, said could frustrate customers. "The brick-and-mortar retailers are already fighting an uphill battle against pure-play eCommerce retailers, so the last thing they need are more reasons for customers to be ticked off at them," Stern told The Detroit News. The best way for merchants to face this challenge is to go into the busy holiday shopping season prepared. If retailers are ready for the added wait and the potential responses from customers, they can have solutions set to go. "We put a ton of effort into making sure our team members are equipped to answer questions," Target spokesperson Molly Snyder said of the corporation's plans for accepting more secure payments. Merchants can also keep problems at bay by making all of their other operations run as smoothly and efficiently as possible. Utilizing tools such as a comprehensive warehouse management system or multi-channel order manager ensures that businesses are not sidetracked with errors that come from a lack of organization or an overly-complicated tracking system. Retailers will also benefit from increasing the ways consumers can shop from them. If stores themselves are hectic and deter some consumers from standing in the longer and slower lines that are expected this season, having an online marketplace can provide an avenue for customers to shop for products, even if they don't want to physically visit an establishment.